Integrated Technology Group (ITG) is one of the largest education, GRP and ERP solutions providers across the world. EduWave®; ITG educational software, is a solution which seamlessly integrates Learning Management System (LMS) and Student Information System (SIS), has over 15 million users, over 45 thousand schools, and three countrywide deployments. While distributed separately, (ITG) is the only company that has deployed a fully integrated enterprise level system that incorporates a fully integrated SIS, LMS, Communication and Collaboration and ERP all in one system. (ITG) also holds close cooperation with major international technology vendors and industry leaders including IBM, HP, Microsoft, Google, and Oracle. 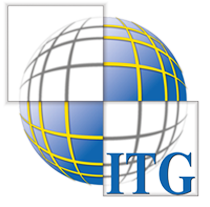 This ensures that ITG’s solutions are based on the latest international standards and technologies in the industry. Read reviews and discover other eLearning Industry community members's experience with Integrated Technology Group (ITG).